THE club is saddened at the recent death of Sean Halpin, a long time supporter of the club and father of current senior player Sean Paul and former juvenile players Martin and Dean. The club extends their condolences to the extended Halpin and O’Connor families. Ardglass GAC juveniles pictured at their annual presentation evening at the Ardtole with Club President Joe McGrath, and guest Damien Rafferty. Last Sunday night at Ardtole the 2012 Juvenile teams gathered for their annual prize giving night, special guests for the Evening were Down senior footballer Damien Rafferty and new Club President Joe McGrath writes Paul O’Shea. The Under-16’s received their trophies from Manager Mickey Curran, Jason Curan was awarded Player of the Year for his consistently high performances, while Harry Walsh received the Most Improved Player award for his continued dedication throughout the year. Finally Sportsman of the Year went to a player who played every position from 1-15 throughout the season, and showed great aptitude for each position… Matthew Kennedy was a worthy recipient. Team manager Danny Kearney, who congratulated all the players on their dedication and commitment over the season, presented the U-14’s awards to his young charges. Caolain O’Shea received Player of the Year and Charlie Gower received Most Improved Player. 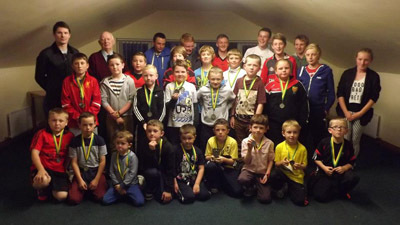 The Go games section of the club from U-8s to U-12-s all received medals in recognition of their continued commitment and development throughout 2012. Special awards where also presented to Cavan Flynn and Caolain O’Shea in recognition of their achievements with the Down U-15 and East Down U-15 Development Squads in 2012 respectively. Club Chairman Paul O’Shea thanked all the players for their effort but held special praise for their parents who ensured they made training and matches on a weekly basis, while also encouraging more parents to take a more active role in the club in 2013. Special guest Damien Rafferty spoke briefly to the players about commitment and dedication and always aiming to improve each time they entered the pitch, while also recognising the vital roles parents played he reiterated the chairman’s words, encouraging parents to volunteer within the club. The Saturday night youth club returned last Saturday and all those who attended had a great time. The Club will run on the 1st and 3rd Saturdays of the month over the winter for all Girls and Boys of Secondary School age. 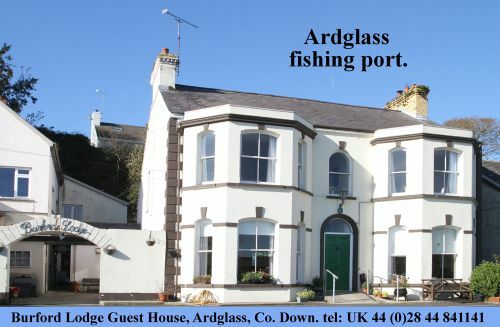 The aim of the club is to provide a socialising outlet over the winter Months and to widen the use of the Ardtole Clubhouse which mainly lies idle over the close season. Next session will be Saturday 3 November 7-10pm. The club is currently working along side CR Sports of Newry to provide a range of club leisurewear in time for Christmas and 2013-football season, full details will be available soon in weekly notes and via Facebook and Twitter pages. The 2012 AGM will be held on Monday 19 November at 7.30pm in Ardtole Clubrooms, nomination forms will be available to all members next week. On and off the field 2012 has been a difficult year for the club as a whole, and the small band of dedicated volunteers require more help in 2013, if you think you could help out, on or off the field please do not hesitate to volunteer. Lotto Jackpot was not won last week and currently stands at £3400. Tickets available from usual sources. Club Chairman Paul and his wife Marieanne will be holding a Charity Quiz in Mannies on Friday 25 October at 9pm… all proceeds in aid of Action Cancer’s Breast Cancer Awareness Month appeal.